CUGIC is live chat tool for websites, designed to meet the requirements of the online businesses. Businesses consider implementing a website chat tool to be a tough task. To avoid performing any such tasks, they prefer going live without a chat tool, thus, reducing the chances of engaging their customers by up to 50%. CUGIC comes with a very simple installation process, making it easy for the web masters to activate live chat tool on their websites easily. 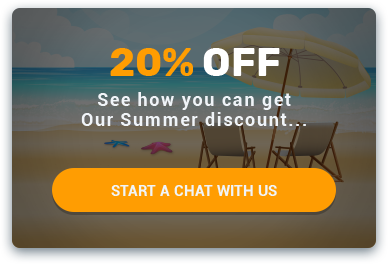 Having an online chat tool on your website depicts that you are ready to respond to customer queries and help with their queries. Activate the top live support chat software on your website by copying and pasting the embedded script in the footer. Monitor and track the overall progress, review chat history, and check customer analytics. CUGIC is designed to be the most appropriate chat tool for website. CUGIC understands that the businesses these days require a comprehensive live chat tool for website that is easy to use and can be customized to suit their website. This is why CUGIC provides a number of customization options. From selecting the right color for the eye-catcher to custom greetings and customizable buttons, CUGIC covers it all. CUGIC comes with a variety of impressive features that make it the most preferred website tool in the market. Some of its features include customized messages per page, real-time typing view, detailed customer and agent reports, unlimited integrations, video calls and much more. All of these features were developed after in-depth research, allowing you to have seamless communication with your visitor on the website. for your business and start engaging with your potential customers! Know at all times the status of your customers via our detailed customer reports. Also view the chat history and resume the conversation from where you last left. Set up unique messages per page and proactively start conversation with engaging invites with you customers you feel need your help. Save time, energy and cost as you easily manage all your chats from one single console provided by CUGIC, the best online chat tool! We tend to help you keep your focus on important things that increase your profitability and simplify things for your business and you.